Annalisa Cucinotta (Ale Cipollini) claimed stage 4 of this year’s Giro Rosa today, after beating compatriots Marta Bastianelli (Aromitalia Vaiano) and Elena Cecchini (Lotto Soudal Ladies) in a sprint finish in Pozzo d’Adda. Meanwhile, Megan Guarnier (Boels Dolmans) finished safely in the main field to retain her grip on the overall race lead – two seconds ahead of Anna van der Breggen (Rabo Liv) and five seconds ahead of Ashlegh Moolman-Pasio (Bigla). Today’s stage featured a 103 kilometer flat course from Pioltello to Pozzo d’Adda near Milan, and after the opening circuits, a small breakaway group of four riders containing Silvia Valsecchi (BePink-LaClassica), Mieke Kroeger (Velocio-SRAM), Valentina Bastianelli (INPA Sottoli Giusfredi) and Lizzie Williams (Orica-AIS), managed to ride clear of the field. From there, the escapees went on to create a three minute advantage over the peloton. However, a determined chase succeeded in reeling in the day’s breakaway group, just before the finish, with Cucinotta emerging as the strongest rider. 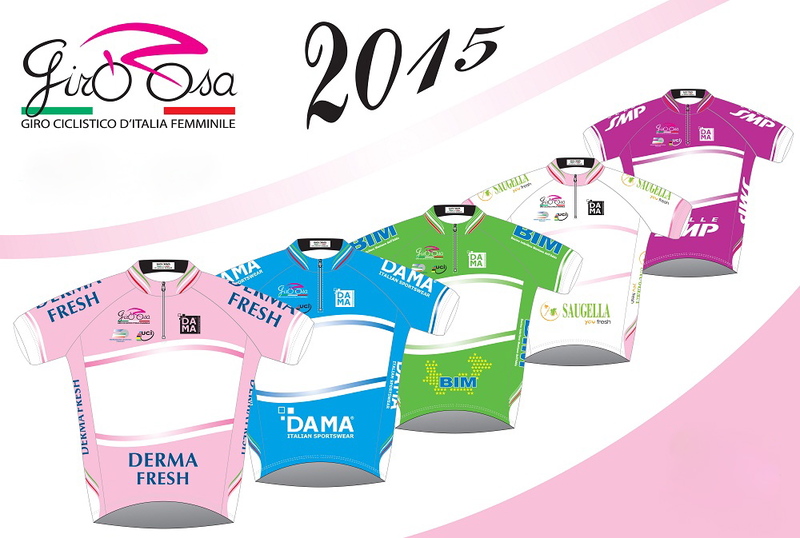 The Giro Rosa continues tomorrow, with a 128.4 kilometer stage from Trezzo Sull’Adda to the summit finish in Aprica.